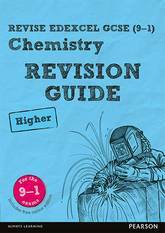 This brilliant CGP Revision Guide has the Grade 9-1 Edexcel International GCSE Chemistry course covered (and it's great for the Chemistry parts of International GCSE Double Award Science too). Every topic is explained in our straightforward style and is packed with examples. We've included all the experiments students will need to know, a whole section on experimental skills and plenty of practice questions throughout the book (with answers at the back). To top it off, there's a free Online Edition of the whole book - just use the unique access code printed inside the cover to access it on a PC, Mac or tablet. 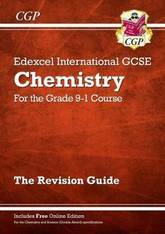 A matching Chemistry Exam Practice Workbook (9781782946861) is also available. 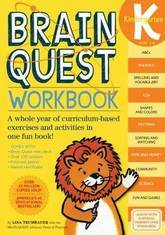 The ultimate 5th-grade workbook, with hundreds of curriculum-based activities, exercises, and games in every subject! From Brain Quest, America's #1 educational bestseller with over 45 million books sold. It's fun to be smart! 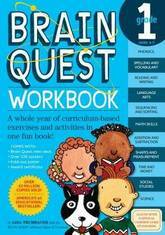 Loved by kids, teacher approved, and parent trusted, Brain Quest Grade 5 Workbook reviews and reinforces what kids are learning in the classroom in an instantly engaging, entertaining way. Each page is jam packed with hands-on activities and games covering spelling and vocabulary, language arts, math skills and word problems, multiplication and division, fraction and decimals, social studies, and much, much more--with friendly illustrations throughout. Aligned with Common Core State Standards and expertly vetted by award-winning teachers, this workbook is designed to appeal to kids' natural curiosity, with interactive layouts and easy-to-follow explanations that take the intimidation out of learning. Plus, it's written to help parents follow along and explain key concepts for homework help! With colorful stickers, a fold-out poster, award certificate, and Brain Quest Mini Decks in the back. 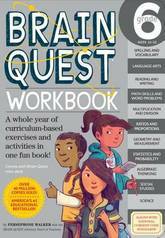 The ultimate 6th-grade workbook, with hundreds of curriculum-based activities, exercises, and games in every subject! From Brain Quest, America's #1 educational bestseller with over 45 million books sold. It's fun to be smart! 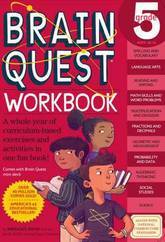 Loved by kids, teacher approved, and parent trusted, Brain Quest Grade 6 Workbook reviews and reinforces what kids are learning in the classroom in an instantly engaging, entertaining way. Each page is jam packed with hands-on activities and games covering language arts, multiplication and division, ratios and proportions, statistics and probability, social studies, science, and much, much more--with friendly illustrations throughout. Aligned with Common Core State Standards and expertly vetted by award-winning teachers, this workbook is designed to appeal to kids' natural curiosity, with interactive layouts and easy-to-follow explanations that take the intimidation out of learning. Plus, it's written to help parents follow along and explain key concepts for homework help! With colorful stickers, a fold-out poster, award certificate, and Brain Quest Mini Decks in the back. This book is packed full of practice questions and computer activities for year 6 ICT pupils. 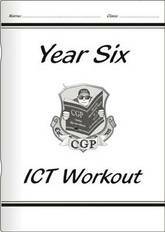 It covers the ICT Scheme of Work for year 6 units 6A to 6D and helps to introduce children to ICT. Our second book of realistic CEM-style 11+ 3D and Spatial practice is here! This 10-Minute Test book contains another great serving of thirty bite-sized tests, with questions on all the important topics - including rotation, folds, nets and more. Fantastic puzzle pages throughout the book test NVR skills in a fun way, and there's a progress chart at the back so it's easy to see how pupils are doing. And there's no chance of being stumped by any problem because we've included full answers in a pull-out booklet! This book also comes with a free Online Edition - just use the unique access code printed inside the cover to access it on a PC, Mac or tablet!This book also comes with a free Online Edition - just use the unique access code printed inside the cover to access it on a PC, Mac or tablet! 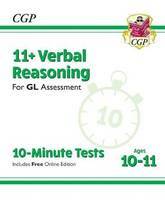 This CGP book is perfect for providing children with realistic 11+ Verbal Reasoning preparation in bite-sized chunks. It contains more than thirty 10-Minute Tests, each covering a mixture of topics and skills - with step-by-step answers included in a pull-out booklet. There are also fun puzzle pages throughout to challenge children's Verbal Reasoning skills in a more relaxed style, plus a progress chart at the back of the book. 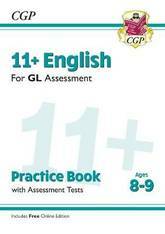 This book is ideal for the 11+ tests set by GL Assessment and other test providers, and provides excellent practice for the Kent Test. A separate edition for the CEM (Durham University) tests is also available. This book also comes with a free Online Edition - just use the unique access code printed inside the cover to access it on a PC, Mac or tablet! 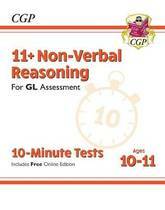 This CGP book is perfect for providing children with realistic 11+ Non-Verbal Reasoning preparation in bite-sized chunks. It contains more than thirty 10-Minute Tests, each covering a mixture of topics and skills - with step-by-step answers included in a pull-out booklet. There are also fun puzzle pages throughout to challenge children's Non-Verbal Reasoning skills in a more relaxed style, plus a progress chart at the back of the book. This book covers all 11+ test providers except CEM (Durham University). This book also comes with a free Online Edition - just use the unique access code printed inside the cover to access it on a PC, Mac or tablet! 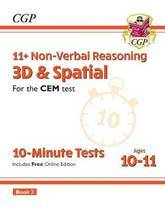 The 3D and Spatial problems in the CEM 11+ tests can be a real challenge, but this book of 10-Minute Tests is packed with practice to help pupils master them! It contains over 30 quick tests with questions focused on developing all the essential skills, including rotations, folds, nets and more. To break up the all the serious 11+ preparation, we've also included fun puzzle pages throughout the book. Complete step-by-step answers to every question are included in a pull-out section, so you'll never be left in the dark about how to solve a problem. This book also comes with a free Online Edition - just use the unique access code printed inside the cover to access it on a PC, Mac or tablet! The Spatial Reasoning problems in the 11+ tests can be a real challenge, but this book of 10-Minute Tests is packed with practice to help pupils master them! 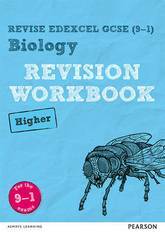 It contains over 30 quick tests with questions covering all the essential topics, including rotations, folds, nets and more. To break up the all the serious 11+ preparation, we've also included fun puzzle pages throughout the book. Complete step-by-step answers to every question are included in a pull-out section, so you'll never be left in the dark about how to solve a problem. 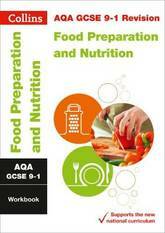 This book is ideal for the 11+ Kent Test and Buckinghamshire Secondary Transfer Test. This book also comes with a free Online Edition - just use the unique access code printed inside the cover to access it on a PC, Mac or tablet! 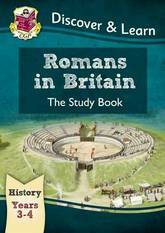 This engrossing CGP Discover & Learn book is a superb way for children in Years 3 and 4 (ages 7-9) to understand and engage with the period of history when the Roman Empire extended into Britain. Each topic is presented on a full-colour double-page spread, with timelines, photos and illustrations to help bring the era to life. It's written in a pupil-friendly style, with clear headings to break up the text and questions to get children thinking about the way people lived at the time. A matching CGP Activity Book is also available - see 9781782941989. 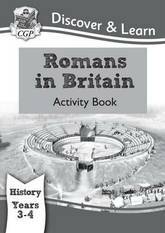 This Discover & Learn Activity Book is perfectly matched to CGP's Romans in Britain Study Book for Years 3 & 4 (see 9781782941972 - pupils will need the Study Book to answer the questions in this Activity Book). 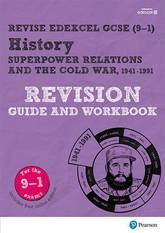 It contains a range of thought-provoking practice questions for each topic - ideal for helping children think in depth about what life was like during this period of history. Each page includes Learning Objective tick-boxes, so they can keep track of how confident they feel about each topic. Complete Answers are available in the matching Teacher Book (9781782942276). Superb for helping children build up their English skills for the 11+, this book is packed with top-quality practice questions (and detailed answers) for ages 8-9. The first section of the book helps children gain understanding and confidence by focusing on one topic at a time. This is followed by realistic Assessment Tests to improve their speed and accuracy across a wide range of questions. This book is ideal for the 11+ tests set by GL Assessment and other test providers, and provides excellent practice for the Kent Test. What's more, a free Online Edition of the whole book is included - just use the unique access code printed inside the cover to access it on a PC, Mac or tablet! This is Pack 2 of our bestselling practice tests for 11+ Non-Verbal Reasoning! 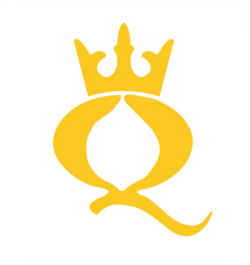 It contains four realistic multiple-choice test papers, making it ideal preparation for the 11+ and other selective entrance exams. 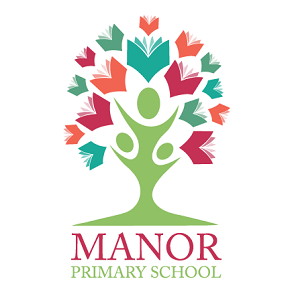 We've thrown in a detailed answer book containing full explanations of every answer, plus a separate Parents' Guide packed with helpful notes on what to expect from the 11+ tests, how to make full use of practice papers and other handy info. Free audio instructions for each individual paper can be downloaded from the CGP website - just follow the link in the pack! 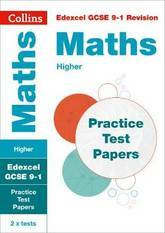 These papers are ideal for the 11+ tests set by GL Assessment and other test providers. 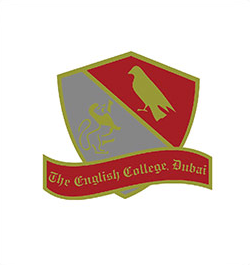 Separate papers for the Kent Test and CEM (Durham University) tests are also available. This Practice Paper pack also comes with a free Online Edition - just use the unique access code printed inside the cover to access it on a PC, Mac or tablet! 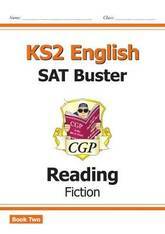 If you can't get enough Fiction Reading practice, this fantastic SAT Buster workbook provides even more brilliant prep in Reading - Fiction Book 2. It contains four varied and engaging fiction texts, plus a range of questions covering all of the skills pupils need for the KS2 SATS Reading test. It also includes helpful self-assessment boxes to track pupils' progress. 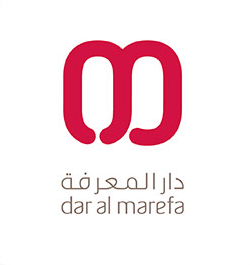 Answers are available in a separate answer book (9781789080971). For even more Reading practice, check out Non-Fiction Book 2 (9781789080957) and Poetry Book 2 (9781789080964). For an extra challenge, try SAT Buster Reading Stretch - Fiction (9781782948346). Regular practice makes perfect - that's why we've written this spectacular Phonics Weekly Workout book for Year 1. 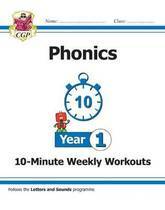 It contains a range of 10-Minute Workouts on a mixture of Phonics topics. Each Workout consists of a warm-up, followed by a collection of perfectly sequenced practice tasks. There's also a host of friendly characters giving out useful tips, and self-assessment stars to show how confident pupils are with each task. 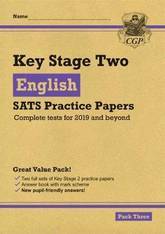 This pack of English SATS Practice Papers will help prepare pupils for the tests in 2019 and beyond! It contains two more sets of fully updated English SATS papers, plus a detailed answer book with mark scheme. To make this pack even better, we've added in a new pupil-friendly answer book, so pupils can even mark their own work! This is Pack Three: for even more practice, Pack One (9781789081091), Pack Two (9781789081107), Pack Four (9781789081114) and Pack Five (9781789081121) are also available. 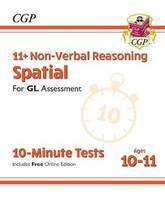 The 11+ Verbal Reasoning GL & Other Styles series covers verbal reasoning technique for the GL Assessment 11+ exams, CATs, Common Entrance and scholarship examinations for independent schools, and all other styles of verbal reasoning test. 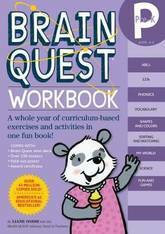 This series of books is designed to be used in sequence from Workbook 1 onwards. 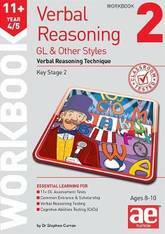 The 11+ Verbal Reasoning GL & Other Styles workbook series is complemented by the 11+ Verbal Reasoning GL & Other Styles testbook that reinforces a child's verbal reasoning technique and knowledge, and a testpack for exam preparation. Answers, Progress Charts and a Certificate of Achievement are included at the end of the book. All our materials have been rigorously classroom tested. 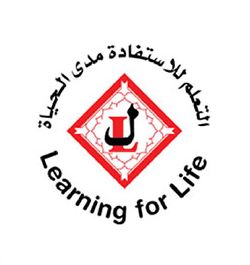 The methodologies have been successfully used in AE Tuition classes for over 20 years. Each practice paper should take about 50 minutes, however it is more important that a child completes the test accurately and does not rush their answers. Children will speed up naturally with practice. 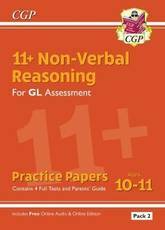 The 11+ Verbal Reasoning GL & Other Styles series covers verbal reasoning technique for the GL Assessment 11+ exams, CATs, Common Entrance and scholarship examinations for independent schools, and all other styles of verbal reasoning test. 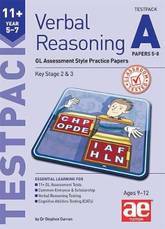 The testpack is designed to be used in conjunction with the 11+ Verbal Reasoning GL & Other Styles workbooks and testbooks as an additional learning tool and final exam preparation. All our materials have been rigorously classroom tested. 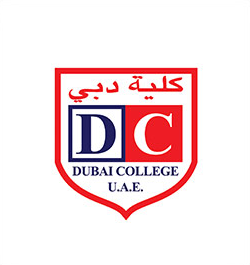 The methodologies have been successfully used in AE Tuition classes for over 20 years. 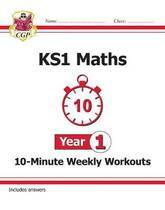 We've packed this Year 1 Maths book with brilliant quick-fire Workouts - one for each week of the school year! Each Workout features a handful of warm-up questions, followed by more challenging questions and a problem solving section. They're perfect for cementing what pupils have learned in class. Answers to each Workout are included in a cut-out section at the back of the book, and we've even included a handy progress chart, where you can record pupils' marks and make notes.